I do love a good steak. It’s why I could never be a true vegetarian or vegan full time. 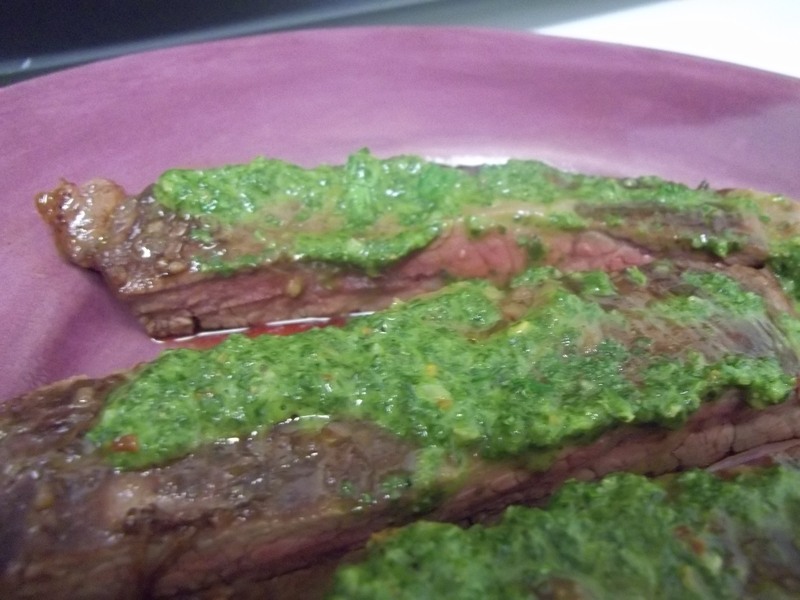 Tonight, I decided to make a flank steak with chimichurri sauce. 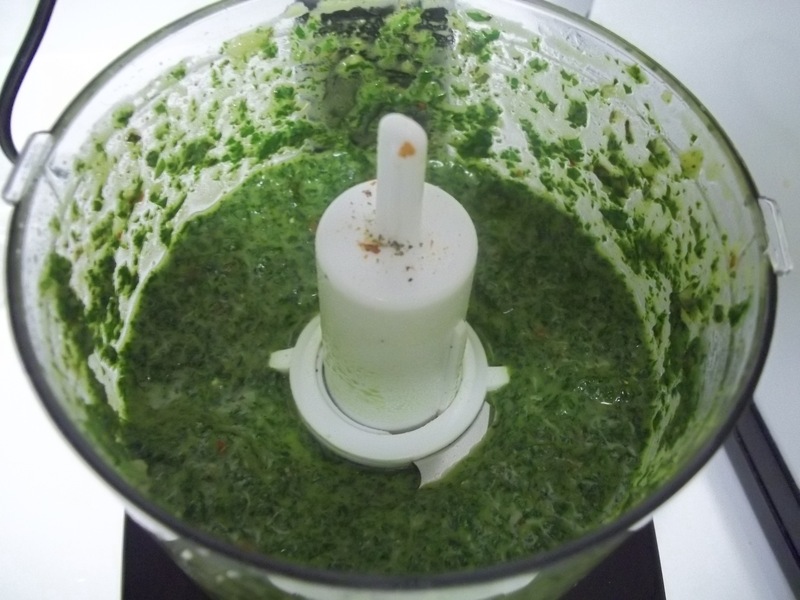 I have never made chimichurri sauce before, but found a recipe in one of my favorite cookbooks. Let’s face it… its name invites exploration. I adapted its flavors a bit, and was pleasantly surprised by my first time result. I pulsed the combination on high, and ta-da! 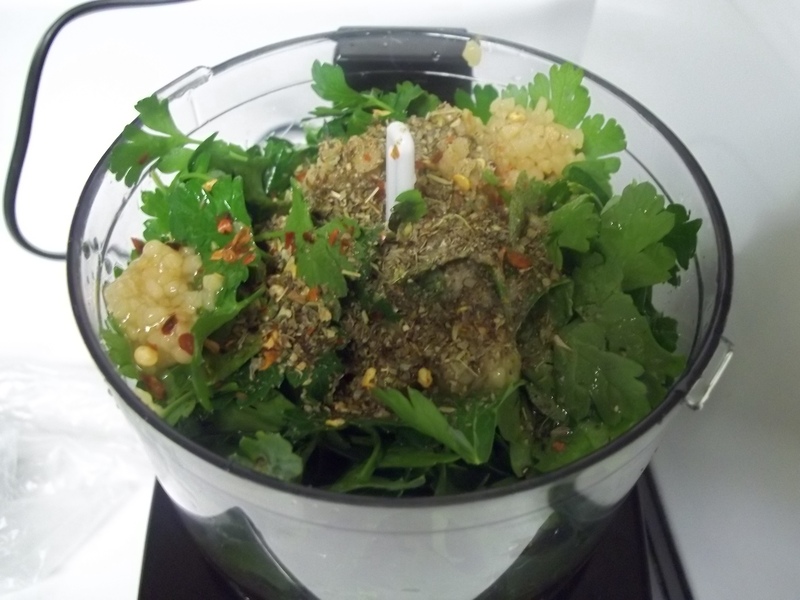 Perfect chimichurri sauce… perfect consistency, perfect flavor, the perfect companion for steak. I marinated the steak all day in olive oil, red wine, chopped garlic, worchestire sauce, fresh rosemary, salt, and pepper. Then, I broiled the steak for just about 10 minutes for a medium rare taste. Spread the chimichurri sauce on top and serve! I will make this. What were the changes from the recipe that you made? I used raspberry vinegar instead of white wine vinegar, lemon juice instead of water, and my own spices. Hope you enjoy!! !